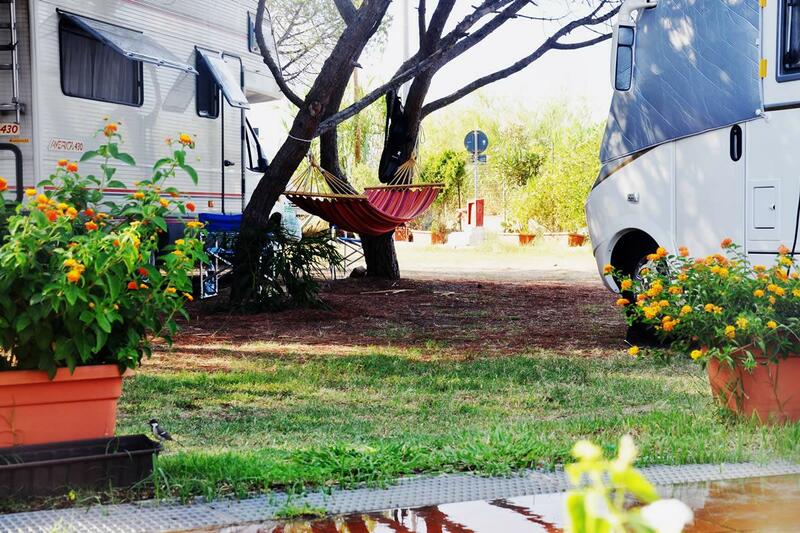 The Pedra e Cupa campsite covers an area of 20,000 square metres. 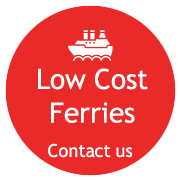 The distance between pitches and the sea is a minimum of 50m to a maximum of 200m. The pitches are all shaded, some immersed in dense, green pine groves near the beach, others are located in the shade of tarpaulins. Pitches have an electricity supply (6 amps) and there are numerous sources of drinking water. In the camping area there are also hygiene services, which are clean, modern and equipped with wash houses for laundry and dishes. There are also baths for disabled guests. Hot showers are free. There is also a laundry service available, for a charge. The tent pitches are all located close to the sea, at a distance of no more than 200 metres from the beach. They are all shaded thanks to the lush, thick and green pine forest or from attractive canopies that have been specially placed to create a fresh space that is well sheltered from the sun. The pitches are equipped with electric hook-up (6 amps) and they are supplied by numerous drinking water fountains. All campers can benefit from hygienic and modern sanitary facilities that are equipped with disabled bathrooms, laundry rooms and dish washing areas. The hot showers are free. There is a paid laundry service. 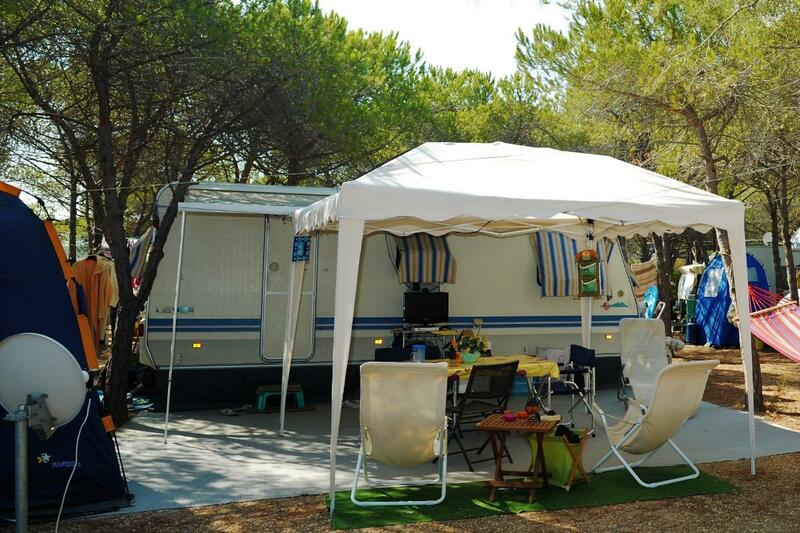 The pitches where you can stay comfortably in your caravan are all shaded thanks to the lush, thick and green pine forest or from attractive canopies that have been specially placed to create a fresh space that is well sheltered from the sun. The pitches are equipped with electric hook-up (6 amps). 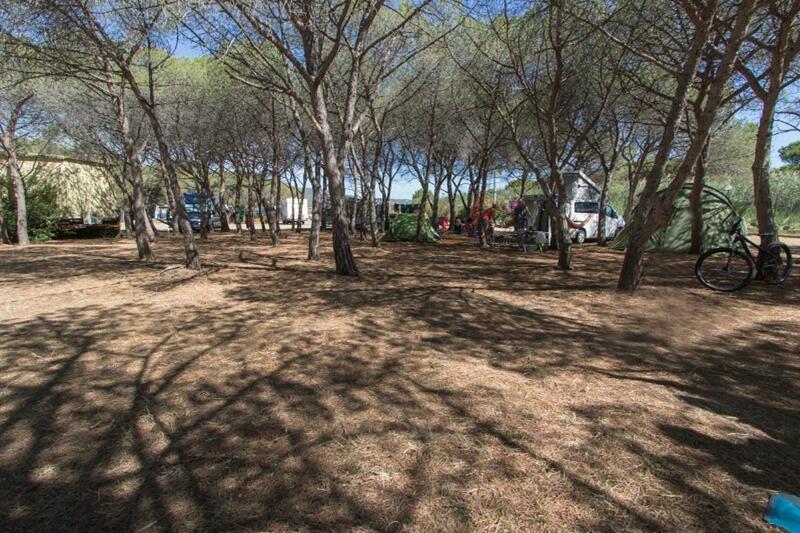 You can also take advantage of the numerous drinking water fountains and modern, hygienic services on the campsite. The hot showers are free. The areas assigned for campers are all located close to the sea, at a distance of no more than 200 metres from the beach. They are all shaded thanks to the lush, thick and green pine forest or from attractive canopies that have been specially placed to create a fresh space that is well sheltered from the sun. The pitches are equipped with electric hook-up (6 amps) and there are numerous drinking water fountains. 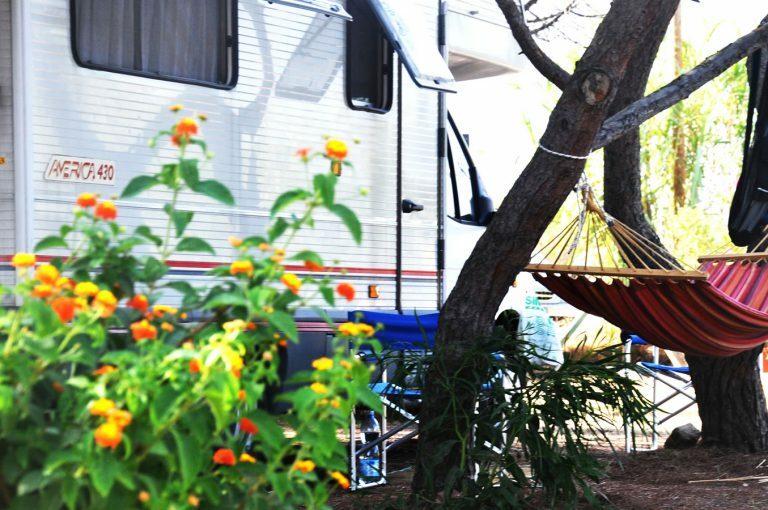 All campers can benefit from hygienic and modern sanitary facilities that are equipped with disabled bathrooms, laundry rooms and dish washing areas. The hot showers are free. There is a paid laundry service. Just next to this area is the Camper Service zone where campers can load and unload.